Flat design — trvalý trend nebo jen módní vlna? Flat design je dnes na vzestupu. Google jej používá ve svých aplikacích na webech, Microsoft jej tlačí do UI nových Windows a kdo chce jít s dobou a tvořit moderní web/aplikaci/design, zvolí patrně také tento přístup. Flat web design is quick: Flat design reflects efficiency. Without any distraction, your sight focuses on the essential parts of the site. The visitors can easily get what they are looking for. Flat design is scalable: With the growing popularity of responsive design, it is important to get the website fit properly on different screen sizes. The elements of flat designs like colours and typography can easily get adapted to smaller screens. 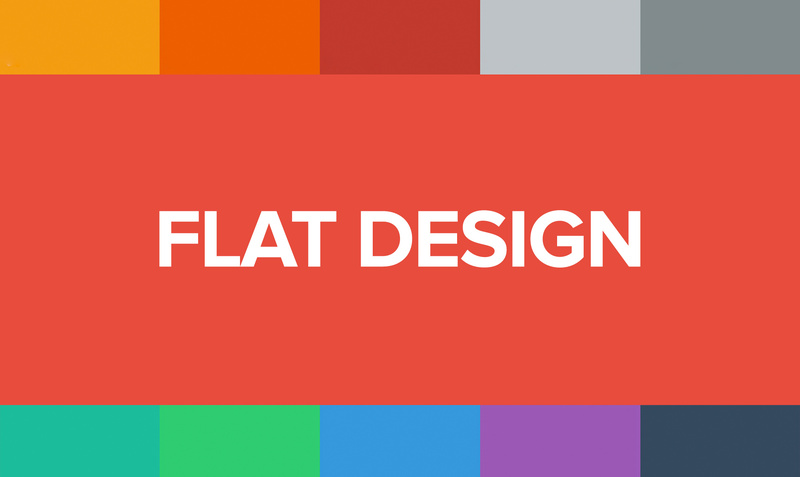 Flat design is honest: Flat design always acknowledges the 2D nature of the screen design. The design doesn’t play a trick with the user as it does not attempt to add any 3D effects, shadows, patterns, gradients or any element which represent the real-world things. Flat design is usable: As the idea with flat designs is to remove all distracting design elements, therefore, the design can focus on the user’s goal and the content. It makes optimum use of typography and colours as visual cues to help the users reach their goals.